Notes: When Toronto celebrated its sesquicentennial as a city (1834-1984), the provincial government decided to get into the act and found an event in 1784 that they could call the origin of the province. 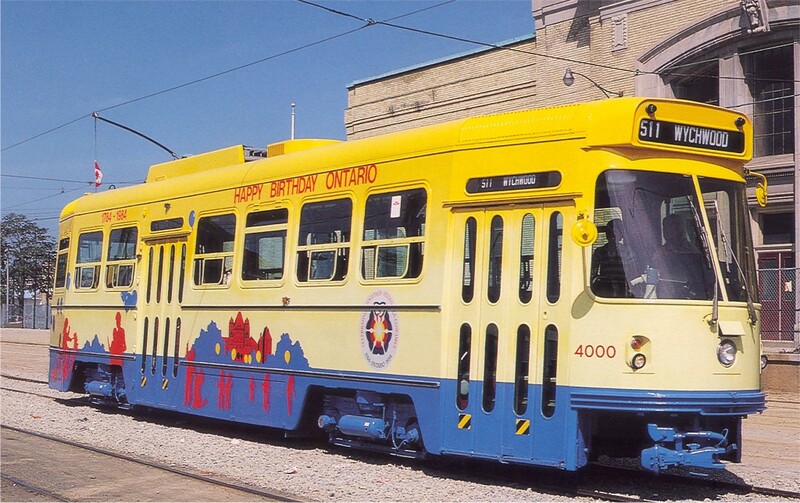 This was one of two streetcars painted (no plastic advertising wrap back then) for the pseudo-bicentennial. It must be on a fan trip since Wychwood closed as a carhouse in 1978.